The Peoples Democratic Party (PDP) is spending about $1,080,000 (about N388million) on its ongoing lobbying in the United States, The Nation has learnt. The party is also polishing its image in the United Arab Emirates (UAE), the United Kingdom and other parts of Europe, but the budget remains unknown. The U.S. lobbying is believed to have paved the way for the recent visit of the partyâ€™s presidential candidate, Alh. Atiku Abubakar, to Washington DC for talks with some congressmen and groups. Former Aviation Minister Osita Chidoka, however, said the contract was designed to â€œpromote free and fair electionsâ€. 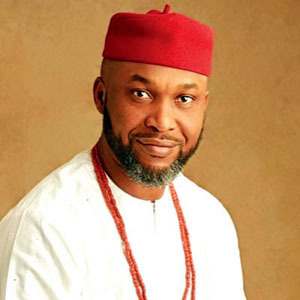 Chidoka, who was part of Atikuâ€™s delegation to the United States, said the agreement to hire a strategic consulting firm predated the emergence of the partyâ€™s presidential candidate. But the National Publicity Secretary of the ruling All Progressives Congress (APC), Mr. Lanre Issa-Onilu, said the agreement had sinister motives. He said blowing N388million on such a venture was â€œa sign of the recklessness which PDP is noted forâ€. It reads in part: â€œThis agreement shall become effective in September, 2018 and shall remain effective until September 20, 2019. This agreement shall automatically renew for successive one-year period on the anniversary of the effective date of the agreement unless either party terminates the agreement. Upon renewal, this agreement may be terminated within thirty (30) days written notice by either party. â€It shall be the Firmâ€™s duty to consult with the Client and advocate on its behalf those issues the Client deems necessary and appropriate before the US Federal government. â€œIssues and objectives may include, but not be limited to enhancement of U.S. Nigerian relations, strengthening and advancing democratic values and the rule of law in Nigeria, with a special focus in the coming months on maintaining political and security conditions free of intimidation and interference in order to ensure the success and fairness of Nigeriaâ€™s national election for president in 2019.
â€œIt shall further be the Firmâ€™s duty to inform the Client of developments in legislation and policy relevant to the Clientâ€™s issues and objectives. The Nation stumbled on a document, which states the terms of the contract and its cost. The PDP will shell out at least $90,000 a month for 12 months. The document said: â€œThe Firm shall receive from the Client $90 000 a month, payable in quarterly installments for this agreement, plus the reasonable cost associated with the representation, including but not limited to, necessary registration fees; and travel expenses such as hotel, air fare, car services and meals, excluding cost typically associated with the operation of an office such as overhead, staff, and equipment. A PDP source , who spoke in confidence, said: â€œNothing is secret, nothing is untoward in the agreement. The agreement predated the emergence of Atiku. Responding to a question, the source said: â€œThe agreement has nothing to do with the issuance of visa to Atiku and his trip to the United States. We entered into the agreement on September 21, 2019 and we had our primaries on October 7, 2019.
â€œAs at the time we signed the strategic consulting contract, the PDP did not have any presidential aspirant in mind. We just wanted to be heard by the United States Government and its people. Asked of the motives behind the agreement, the source said there was nothing sinister. Reacting to the hiring of the consultant, APC National Publicity Secretary Lanre Issa-Onilu said: â€œThe PDP leaders have sinister motives but they cannot succeed. They are paying huge sums of money to engage consultants with the sole intention to deceive those abroad and Nigerians again into submitting our resources by coming back to power. â€œWe thank God that all their efforts from the UAE to the UK, the USA and elsewhere in Europe have all ended in disastrous outcome. â€œThe free and fair poll is here in Nigeria, not in the US. So, they can deceive themselves but they cannot deceive Nigerians. â€œSpending N388million on public relations and lobbying is very reckless and a sign of recklessness which PDP is noted for. Everything about PDP and its leaders has been driven by recklessness. Their 16-year reign in government was a reckless enterprise. Nigerians should watch out, they are spendthrift. â€œWe know the cash is part of the money stolen which this APC government is making efforts to retrieve from them. This is why they think President Buhari should not be re-elected.